As annual spring cleaning rituals get underway, the experts at AAMCO, the world’s largest chain of transmission specialists and leader in total car care, know that drawers and closets are not the only things that benefit from a thorough once-over. Ignoring winter wear-and-tear on your vehicle can prevent it from running at peak performance, and an ounce of prevention is worth a pound of costly repairs down the road. 1. Factory Maintenance Requirements – Check the owner’s manual for required factory maintenance and consult a professional technician to perform those services. 2. Tire Pressure – Inspect tires for wear, damage and correct air pressure. Under-inflated tires can lower gas mileage by 0.3% for every pound-per-square-inch drop in pressure of all four tires, according to the U.S Department of Energy (DOE). Tires that are in good condition and properly inflated are safer — especially on wet and slick roads — and will last longer. 3. Battery – Have the battery, cables and engine drive belts inspected. If the battery is over five years old, consider replacing it before it gives you problems. 4. Engine Oil, Fluids and Filters – Spring is an ideal time to change your vehicle’s engine oil and filter. Check the manufacturer’s recommendation for frequency of other fluid changes, such as radiator coolant and transmission fluid. 5. Brakes – Have your front and rear brake pads, rotors, sensors and the related hydraulic brake parts checked for wear or damage. 6. Air Conditioning – Have the air conditioning system checked so you’re not stuck in the summer heat. Also, it is important to change the cabin air filter regularly to protect you and your system from harmful dust, pollen and other airborne dirt and debris. 7. Engine Tune-up – A vehicle that is noticeably out of tune or has failed an emissions test can affect gas mileage by an average of 4%, says the DOE. Fixing a serious maintenance problem, such as a faulty oxygen sensor, can improve mileage by as much as 40%. 8. Wiper Blades, Lights and Lamps – Don’t wait until that first spring thunderstorm to discover wiper blades are streaking, smearing or scratching the windshield, or that a bulb needs to be replaced. 9. Belts and Hoses – Check for any signs of wear and tear on any of the vehicle’s belts and hoses. These should be changed every five years. 10. Interior and Exterior Detailing – Protect the vehicle’s paint and interior with a thorough cleaning to remove all of the salts and winter gunk. 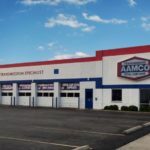 For over 50 years, AAMCO’s locally owned and independent service centers employ the latest technology and its expert technicians diagnose a repair, fix it right the first time and back it with a nationwide warranty. 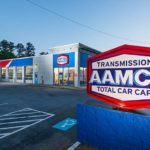 Known as the world’s leading transmission expert, AAMCO has evolved into a total car care brand providing a variety of services, including tire and brake repairs, tune-ups, shocks and struts, routine maintenance and more. For more information or to find an AAMCO dealer near you, visit aamco.com. To learn more about franchise or conversion opportunities with AAMCO, contact Eric Simon, director of franchise development, at 888-977-1419 or esimon@americandriveline.com or visit aamcofranchises.com.